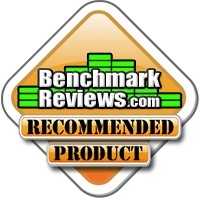 alaTest has collected and analyzed 1325 reviews of Logitech G710+ Brown / G710 Plus Brown. The average rating for this product is 4.3/5, compared to an average rating of 4.2/5 for other products in the same category for all reviews. Views about the design and reliability are on the whole positive. The durability and price are also mentioned favorably. We analyzed user and expert ratings, product age and more factors. Compared to other products in the same category the Logitech G710+ Brown / G710 Plus Brown is awarded an overall alaScore™ of 92/100 = Excellent quality. The Logitech G710+ gaming mechanical keyboard is a solid gaming keyboard that offers some of the best features for gaming, but cheap construction makes the price feel excessive. Dual-zone backlight. Programmable macros with swappable profiles. Built-in media controls and volume knob. Pricey. Plastic construction. Detachable wrist rest detaches too easily. Looking to up your game? With selective backlighting, programmable keys, and quiet mechanical switches, Logitech's G710+ Mechanical Gaming Keyboard could do just that. More than a smidge expensive ($149!) ; Palm rest snaps off way too easily ; Great opportunity to jump into the world of mechanical keyboards, especially if you find it on sale. Great opportunity to jump into the world of mechanical keyboards, especially if you find it on sale. The Logitech G710+ has everything a good gaming keyboard requires and nothing extraneous. Mechanical keyboards are back. The Logitech G710+ combines Logitech quality with low noise mechanical switches for a superior keyboard experience. We finally got the G710+ into our labs. It's time to see what kind of magic Logitech and MX Cherry Brown switches can make. Logitech's entry into mechanical keyboards is a pricey, backlit gaming model that looks and feels great, but it could deliver a bit more value for the money.